When Lorene sent me a challenge for St Patrick’s Day, I had no idea what to do. 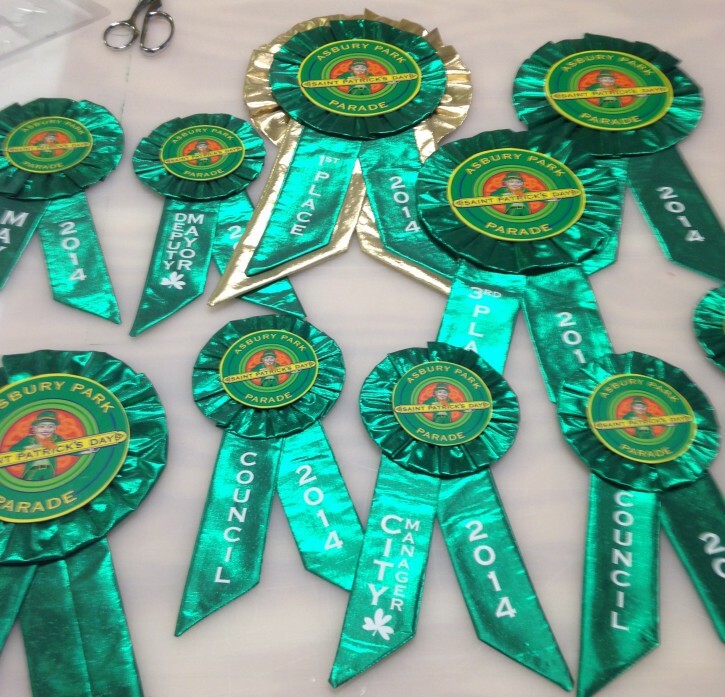 The past month was a busy one… As a trustee of the Asbury Park St. Patrick’s Day Parade, I was busy helping to organize and run the first ever parade on March 9. 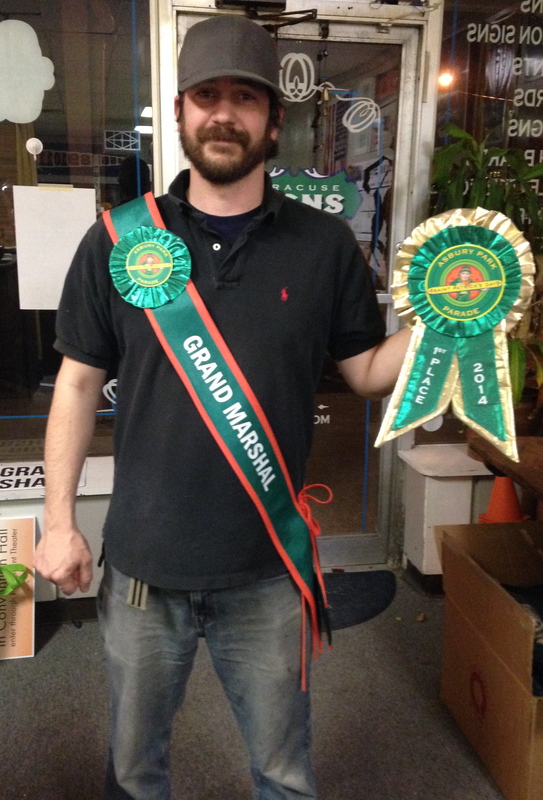 I even made the prize ribbons and Grand Marshal sash. I did some searches for Irish themed quilt blocks, but nothing really interested me. For some reason, I the thought popped into my head to do a Fibonacci Spiral… but then I realized Fibonacci isn’t even Irish. So I did a quick search for Irish Scientist and low and behold Robert Boyle, the grandfather of Modern Chemistry, topped the list. He proved the relationship between pressure and volume of gases, a cornerstone of my favorite chemistry topic, The Universal Gas Law. Who doesn’t love the equation PV=nRT ? The binding is gold tissue lamé, and it was free-motion quilted on my Singer Stylist. 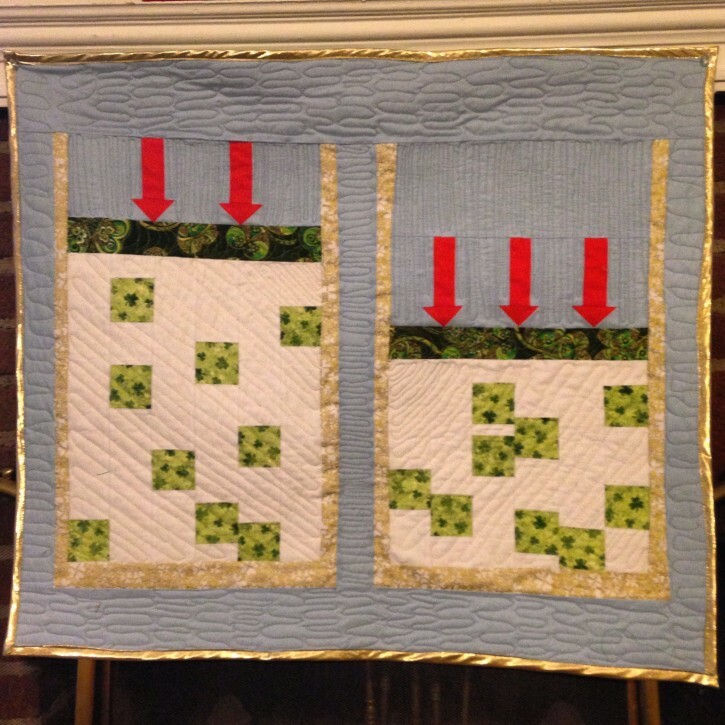 Making this mini quilt was so much fun, I hope it inspires others to make educational quilts! Make sure to check out Lorene’s March Sister Challenge entry! !